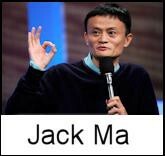 Alibaba, or 阿里巴巴集团 in Chinese, is often described as one of the biggest tech companies you have never heard of… or perhaps to put it another way, Steve Jobs, Bill Gates, Mark Zuckerberg, Jeff Bezos and… Jack Ma ??? Alibaba describe themselves as ‘China Distributors & Exporters’ and have become one of the biggest companies in the world. With an upcoming listing on the New York Stock Exchange, the company has a projected value of $220 billion Dollars. Yes you heard correctly, that’s $220 beeeeeleon Dollars as Dr Evil would gleefully say… To give you a little context, Amazon is currently worth $165 billion Dollars and FaceBook some $190 billion Dollars and these are both well established ‘house-hold’ names across the world. So how did Alibaba, a company so out of the western public eye and consciousness, come to be such an Internet giant that now threatens the commercial interests of the likes of Amazon and eBay? Could we be seeing the fall of these e-commerce giants? Roll forward 15 years and Alibaba is THE place to do business with China… like a virtual shipping port, where all trade and export goes out to the world, Alibaba makes it simple for global B2B to do business with the industrial powerhouse that is China. Alibaba is reported to have 80% of China’s e-commerce market and reported $1.1 billion Dollars in operating income for the second quarter, 42% more than Amazon and Ebay combined. What model does Alibaba operate? Alibaba is essentially a MarketPlace business like eBay, so unlike Amazon they don’t own the products or operate warehouses or the costly logistics of doing so, instead retailers use the service to sell to consumers and businesses directly. Of course, outside of China, Amazon still reigns supreme in the global e-commerce stakes with well established relationships and global distribution. 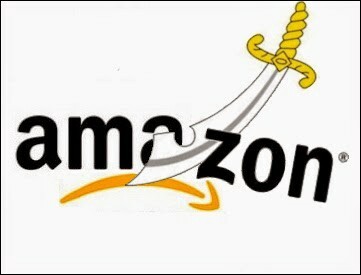 Amazon have themselves been in China for 10 years or so albeit with limited market share. Alibaba are now moving into cross-border e-commerce and with no let up in China’s desire to own western goods, Alibaba seems to be in a good position to fulfill the need. One advantage Alibaba has over Amazon is its e-payment arm called by the somewhat original name of AliPay. Compared to PayPal, AliPay processed $519 billion Dollars worth of digital payments in 2013 whereas PayPal processed a mere $180 billion Dollars. There has been much hype about the IPO for Alibaba and certainly the press coverage is doing no harm in educating people about Alibaba and will drive the success of the launch. I am sure that Alibaba’s new US position will cause a great deal of nervousness for other e-commerce rivals, but that is no bad thing as competition ultimately drives down costs and prevents big companies from being complacent.